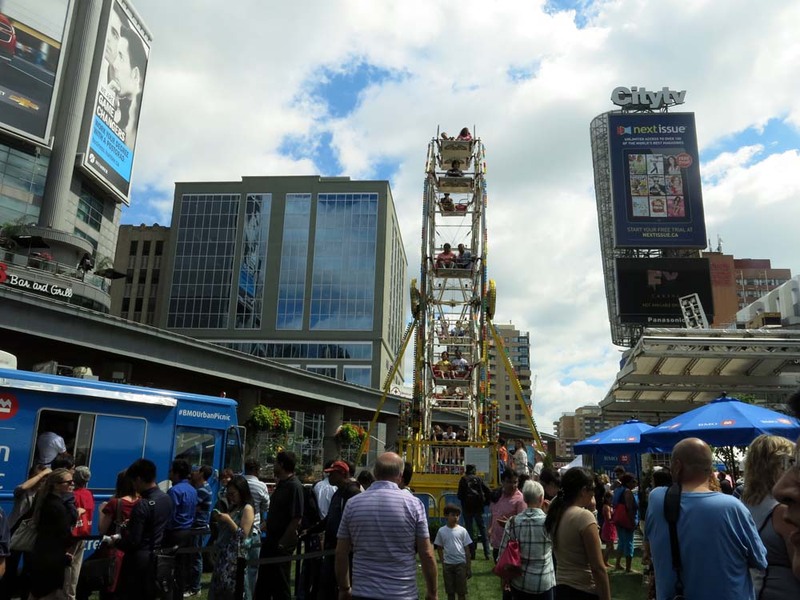 London England has its spectacular ferris wheel called the London Eye, even Niagara Falls has the impressive Skywheel. 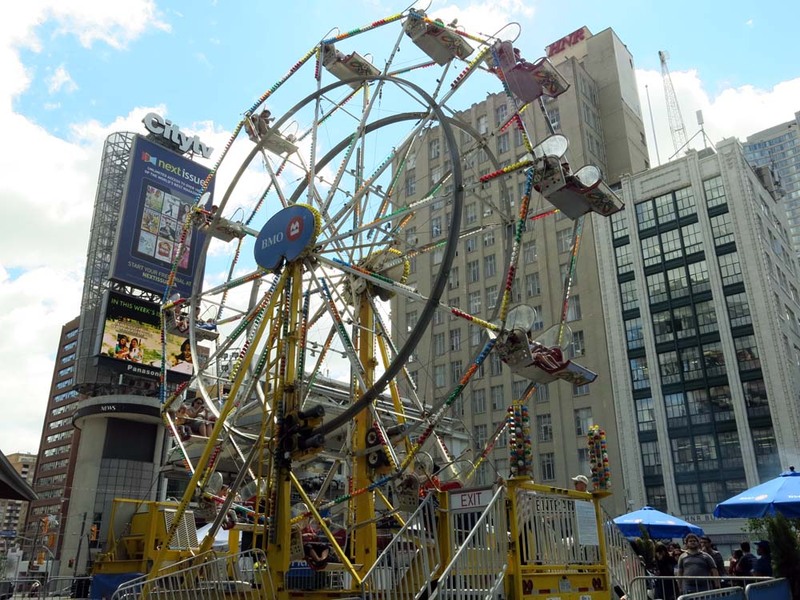 Toronto gets the Urban Vortex ferris wheel whenever the BMO urban picnic sets up in the concrete square of Yonge-Dundas. Views of the Eaton Centre are unparalleled though.